Lewis Alexander's son is a Marine serving overseas. Lewis is a proud Marine dad and has stickers on his car to show his support. 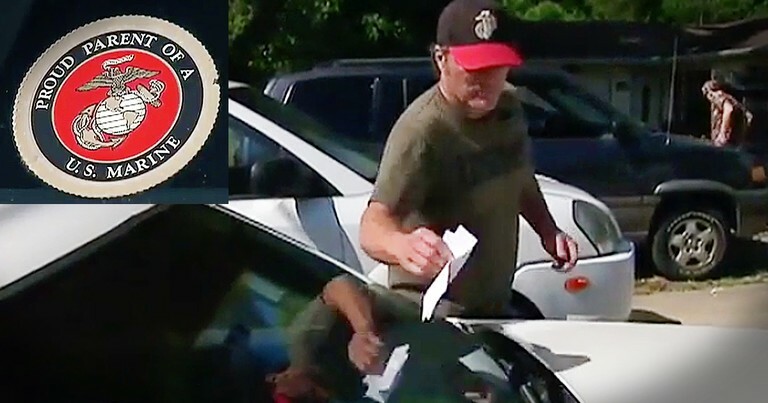 So imagine his surprise and hurt when he went to the store and came back to find a hateful note on his car insulting his son and the military. I can't believe someone would say that. But how Lewis handled the whole situation is truly inspiring!